ICMR is stands for “Indian Council of Medical Research”. ICMR is an independent association under the Department of Health Research, Ministry of Health & Family Welfare, Government of India. 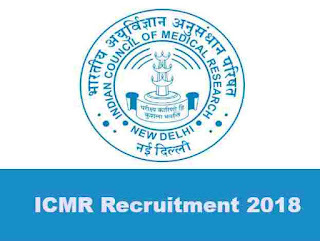 ICMR recruitment department invites applications for filling up of the following posts in Indian Council of Medical Research and its various Institutes/ Centres, located in various parts of the Country on direct recruitment basis. ICMR Recruitment department published a notification on their official website related to this recruitment process. We took the whole information from that PDF file and shared with you over here in this article. 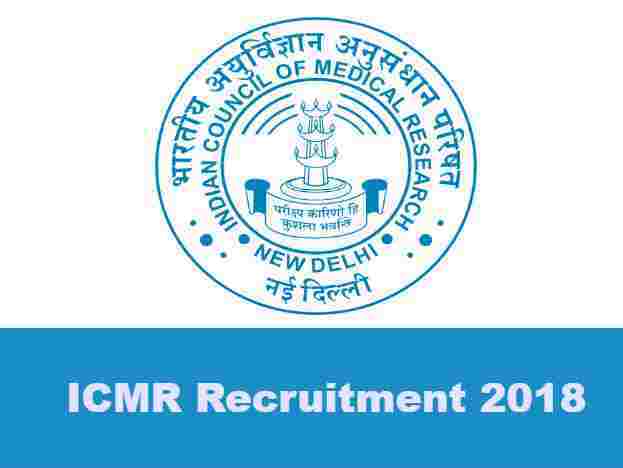 There are total 27 vacant positions which are going to be filled up through this ICMR Recruitment 2019. More information which we get from that official PDF file is shared under this article below. We also shared the official links under IMPORTANT LINK Section at the last of this article. So read the whole article very carefully before applying to these Government jobs for Scientists posts under ICMR department. Pay Band: Rs.67,700 – Rs.20,8700 per Month. Post graduate degree (MD/MS/DNB) with one year R&D/teaching experience or Postgraduate diploma in medical subjects with two years R&D/teaching experience in the required subject from recognized university. MBBS degree recognized by MCI or equivalent degree from recognized University with 4 years R&D/Teaching experience in the required subject after MBBS Degree. BDS/B.V.Sc& AH degree recognized by DCI/VCI with 5 years R&D/Teaching experience in the relevant subject after BDS/B.V.Sc Degree. B.Tech degree in relevant Engineering subject with six years R&D/Teaching experience in the relevant subject after B.Tech degree. First class Master’s degree in the relevant subjects from a recognized university with 4 years R&D/teaching experience in the relevant subject after 1st Class Master’s Degree. Second class M.Sc + Ph.D degree in the relevant subject from a recognized University with 4 years R&D/teaching experience in the relevant subject after M.Sc + Ph.D.
Age Limits: Applicants age must be less than 40 years for applying this ICMR Recruitment 2019. Paying Method: You can Pay the above examination fee structure through Demand Draft in favour of Director General, ICMR, New Delhi.